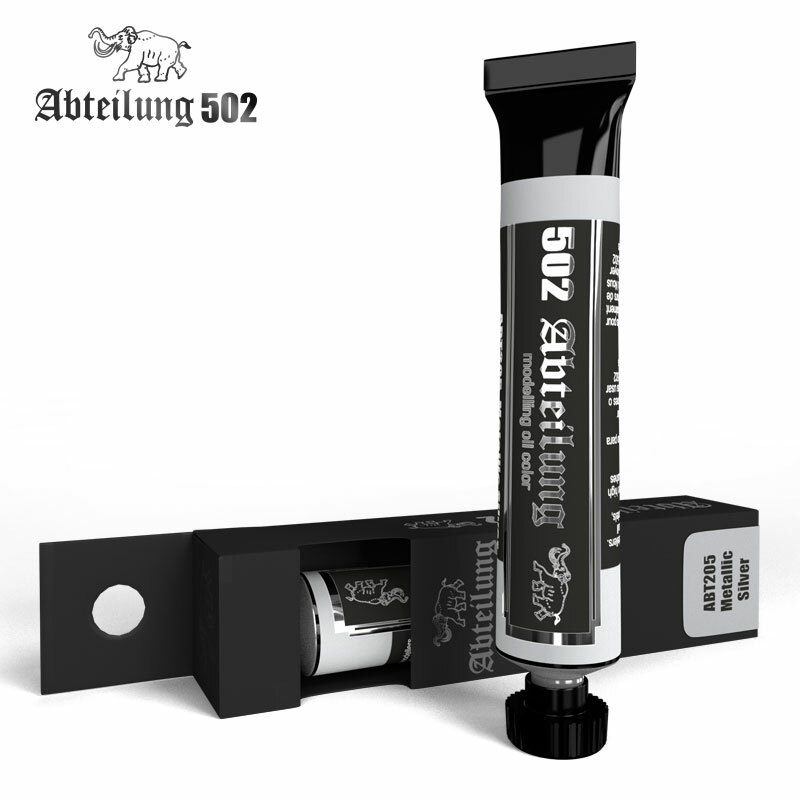 Abteilung 502 Metallic Silver Oil Paint 20mlIt is indicated for painting silver details on uniforms. It also works perfectly for armors, sci-fi kits and small parts of your models. The special characteristics of the oil paints allow different types of finishes that will improve the y final result of your works.